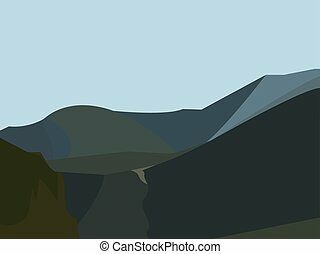 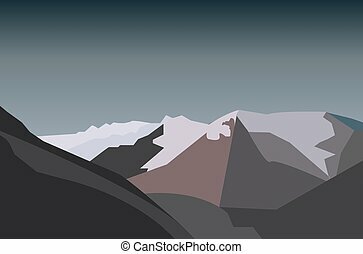 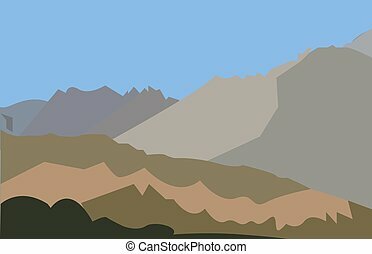 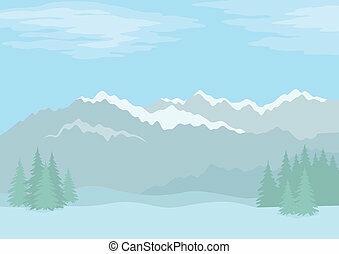 Illustration of a mountain landscape. 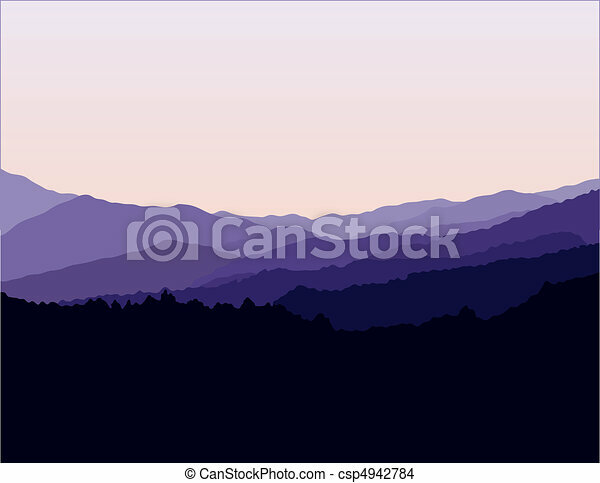 Shows a view of the rolling Blue Ridge Mountains fading in the distance. 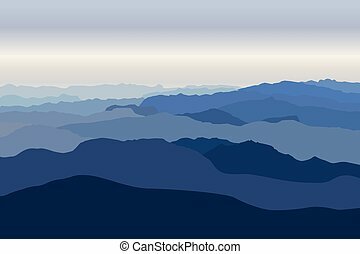 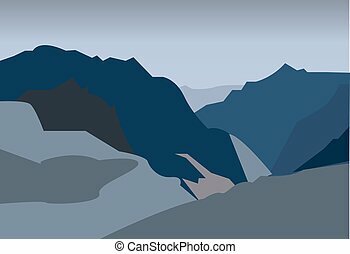 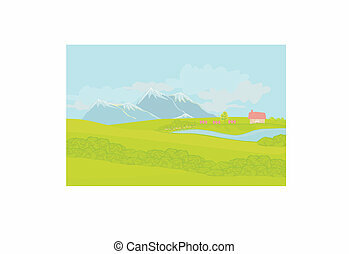 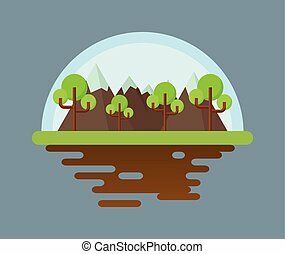 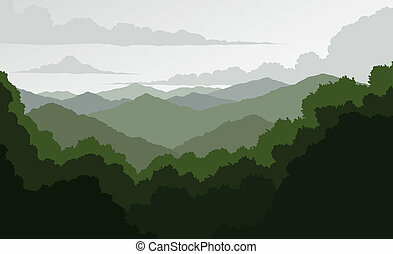 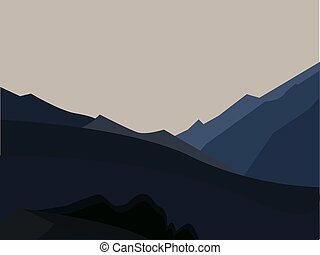 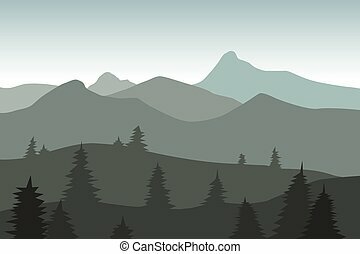 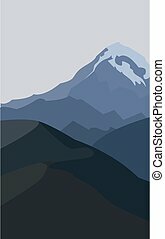 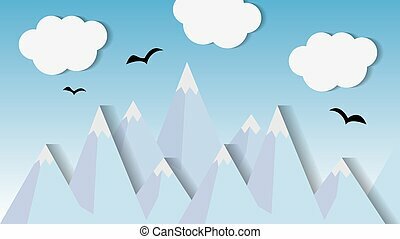 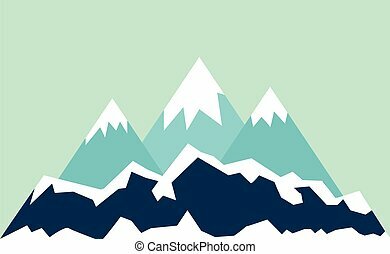 Misty blue mountains with forest landscape vector.